Description: THIS EVENT IS SOLD OUT! 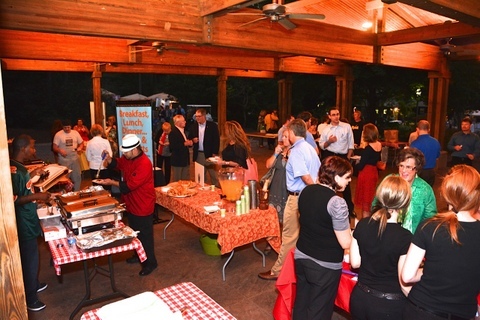 Taste of Hoover celebrates the variety of culinary styles found throughout the city. Enjoy an autumn evening with us strolling through the Gardens and sampling delicious dishes from some of Hoover's best restaurants, caterers, and more. Taste international wines and local beers while listening to live entertainment. Only a limited number of tickets are available - get yours now! Please note this is a special event and we will not offer free admission to the Gardens during Taste of Hoover. Coca-Cola Bottling Co. United, Inc. Interested vendors, please contact Tynette Lynch at 205.682.8019 or tlynch@aldridgegardens.com. Our vendor application form is available for download under "related links" at the bottom of this page. Taste of Hoover is sponsored by the Hoover Sun. This form stopped accepting submissions on September 29, 2015 9:30 am CDT.